Congratulations Team Browning! We had 13,544 regular and 1,956 bonus Box Top$ for a grand total of 15,500 Box Top$! Thanks to all the parents, teachers, students, and stafffor participating and supporting the Browning PTA in this endeavor. We could not raise these funds without you! Our PTA will receive a check for $1550.00 because of your efforts which will help fund field trips, on-site learning exeriences, & other items not covered under the district budget! Yea! Congratulations also to the top three classrooms that have won the pizza party contest! We will be holding another box top contest in March, so keep clipping and collecting those Box Top$. Our goal for the year is $2,500. Any volunteers interested in trimming/counting/packaging Box Top$ can email me for the March contest counting at [email protected]. 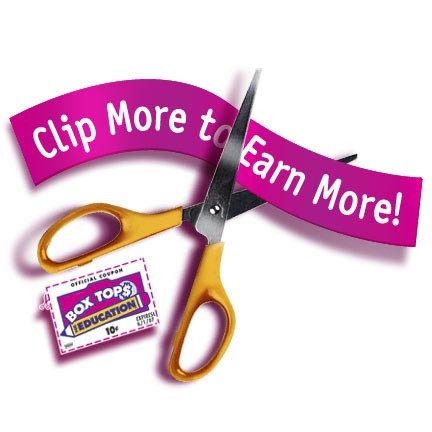 Please visit www.boxtops4education.com for additional ideas for earning e-Box Top$ and Bonus Box Top$. The bonus Box Top$ really add up quickly in addition to the individual ones that are clipped. Many new stores have been added to help accumulate bonus Box Top$ quicker. Meijer bonus Box Top$ really made a difference in this contest. Thanks again for all your time and effort in raising money for our kids and school! Browning’s PTA & Art Teachers are, once again, collaborating to promote creativity, self-esteem, school spirit, and diversity, while helping raise money to support Browning’s art program. 100% of proceeds from this fundraiser will go towards art supplies for our students!